We hope your January is going well so far! About this time of year, we at the CVB start giving thought to our next fiscal year’s (July-June) Business Plan. (You can find a copy of the plan for the 2017-2018 year here.) Each department at the Bureau gives thought to their priorities and goals for the year (related to both travel and tourism trends and the Bureau&apos;s multiyear strategic plan) and how they plan to accomplish them through destination sales and marketing. We hope you think about how you plan to market your business or organization well in advance and, specifically, how you intend to place it in front of Wake County’s 15.6 million visitors arriving annually. 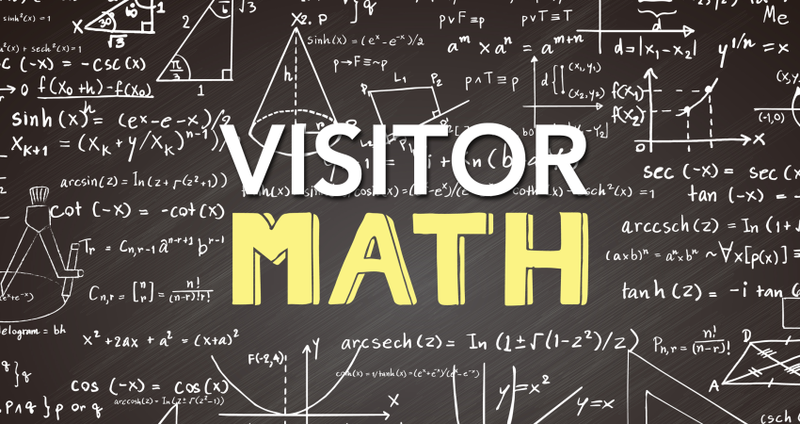 If we have 15.62 million visitors each year in the county, that means we have an average of 42,795 visitors per day. That’s 42,795 people who are looking for places to stay, great places to eat, events to attend and other things to do. If those same visitors spend $2.434B on their Wake County trips per year, that means that $6,668,493.15 is changing hands daily for tourism-related purchases. We also know that 39% of overnight visitors to Raleigh and Wake County are here to see family and friends. ** We realize a good chunk of them are staying in the homes of those family and friends, but as the adage goes, after three days, fish and company start to stink... and those stinkers should be looking for a paid place to stay. Data supplied by Carolina Publishing Associates tells us that four of the top 10 attractions in North Carolina are in Wake County (N.C. Museum of Natural Sciences, N.C. Museum of History, Marbles Kids Museum and the N.C. Museum of Art). In 2016, that total number of visitors was 2,662,058. That&apos;s from just four of the 1,400+ attractions we offer in the area. We do our best to try to help you place your business or organization in front of this potentially lucrative market to drive more sales/spending, and one of the best ways to do that is to place an ad in the Official Visitors Guide to Raleigh, Cary and Wake County. The Visitors Guide is mailed to or picked up by over 150,000 visitors seeking print advice and emailed to an additional 40,000+ online. Supporting the guide also supports your local CVB, which has no membership fees for any of its year-round services to partners. The sales cycle for the 2018 Guide is about to close, but you still have a chance to reserve space for display ad. Ad sales for the guide are managed by representatives from Compass Media, which publishes the guide for the Greater Raleigh CVB. You can download a Media Kit here. To find out more or make your reservation, contact either John Balhouse or Casey Hough no later than Jan. 19. Thanks, and we hope 2018 will be your best year yet.